Plåtskylt i vintage stil. 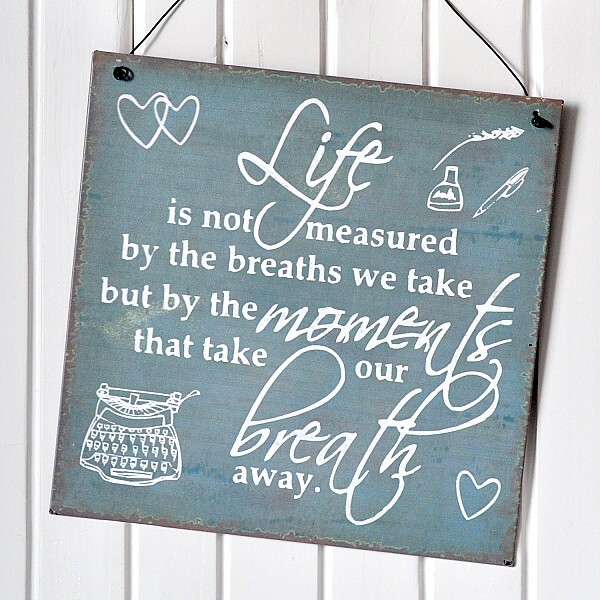 Skylten har texten "Life is not measured by the breaths we take but by the moments that take our breath away. ".